Lingering wildfire smoke acts as a photo filter, lending theses curbside leaves an odd, chalky hue. 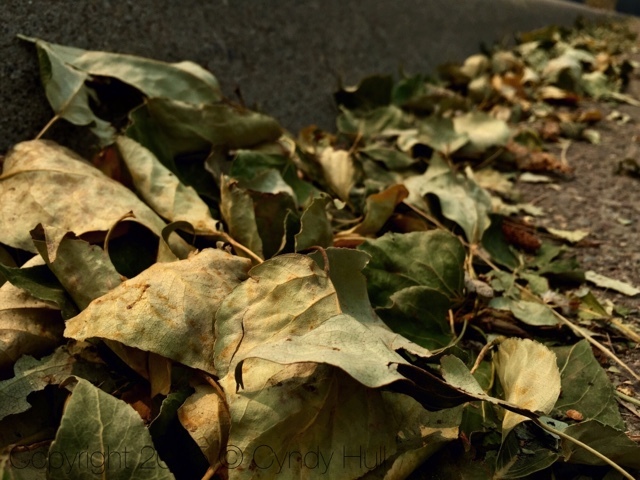 Between the smoke, dry weather, and recent turbulent winds, these poplar leaves took an early out, lining the curb for blocks. The calendar says it's still summer, so I'm hanging on to that!